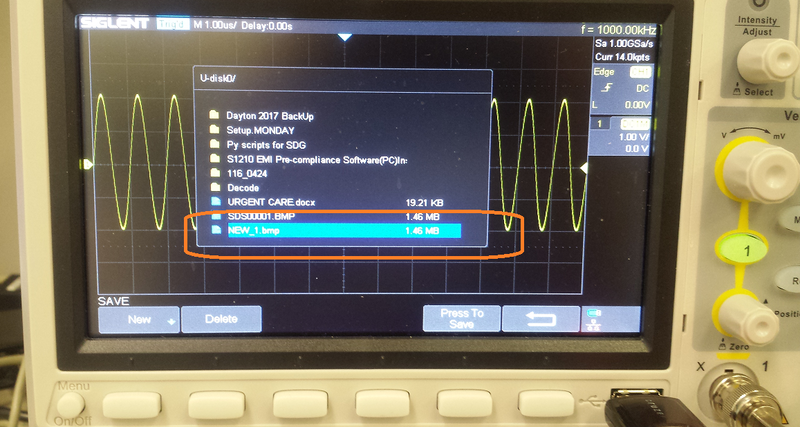 The SDS series of SIGLENT Digital Oscilloscopes have a number of save options that include copies of the displayed image (Bitmap, JPG, and PNG are common image types) as well as instrument configurations (Setups) and data (CSV). Here are brief instructions on how to save files to external USB memory devices. 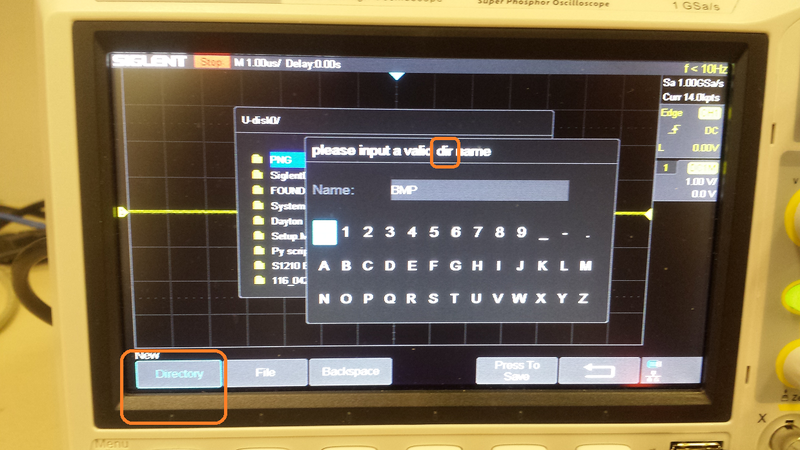 If the device is not recognized, it may not be FAT formatted or there could be another issue. Replace the device with a known working FAT USB device. 2. Press the “Save/Recall” button located on the front panel. 4. 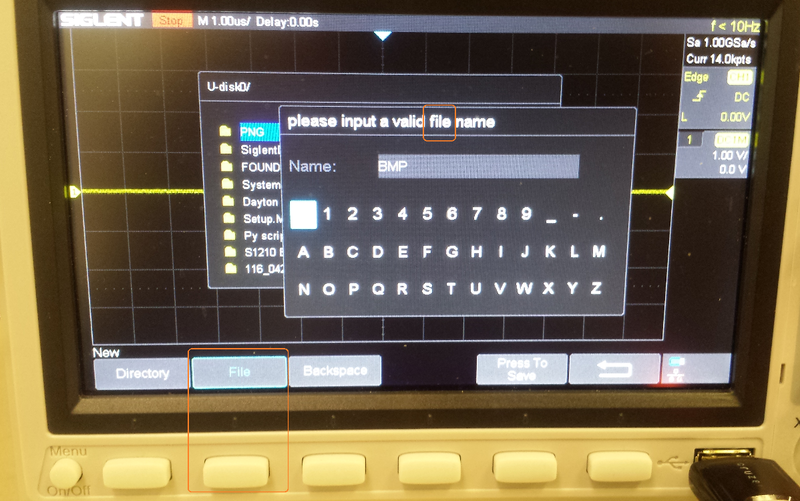 The Save menu allow you to select the file type and any key parameters associated with that file type. 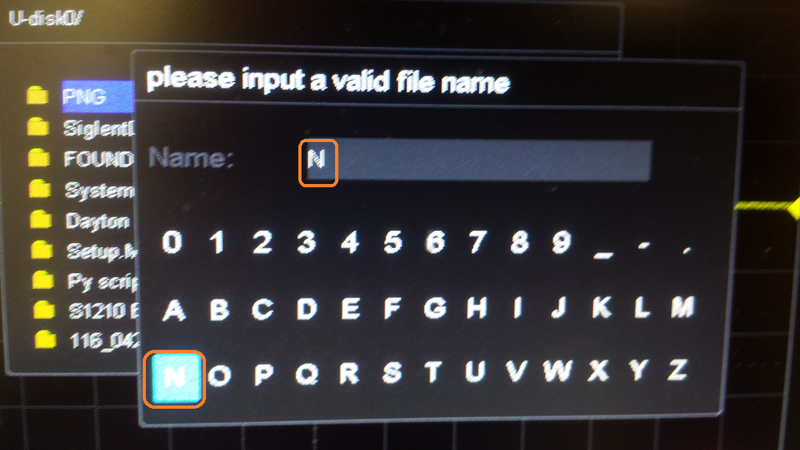 Select the file type by pressing “Type”. 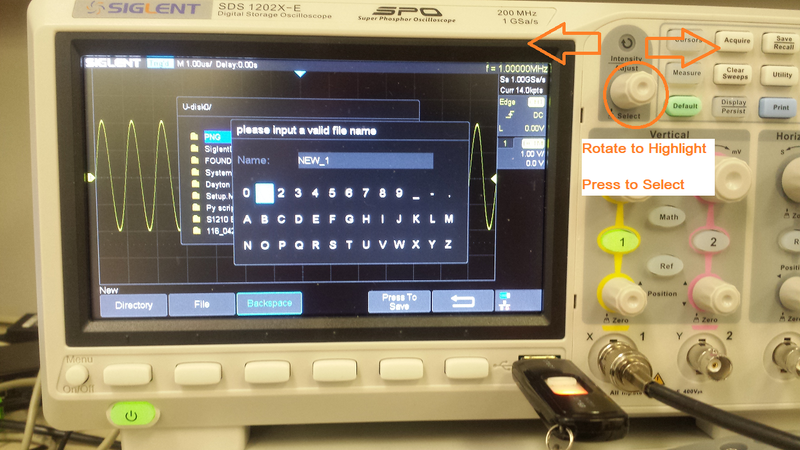 You can toggle through the selections by pressing the Type softkey again, or you can rotate the Intensity/Adjust knob. 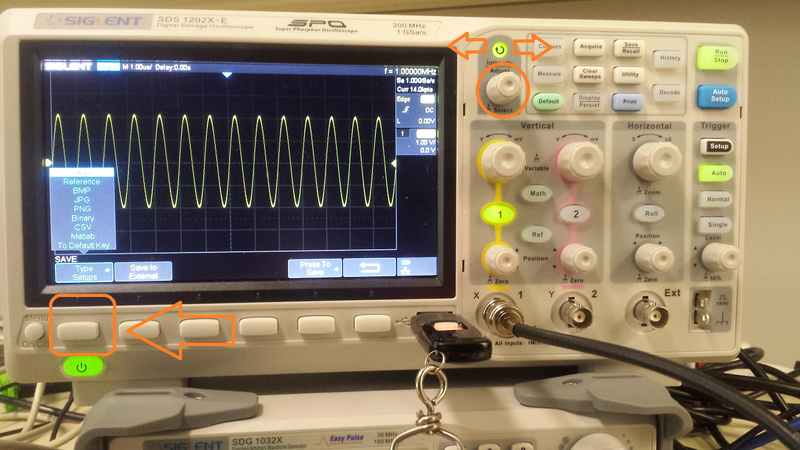 Pressing the Intensity/Adjust knob in to select the value. 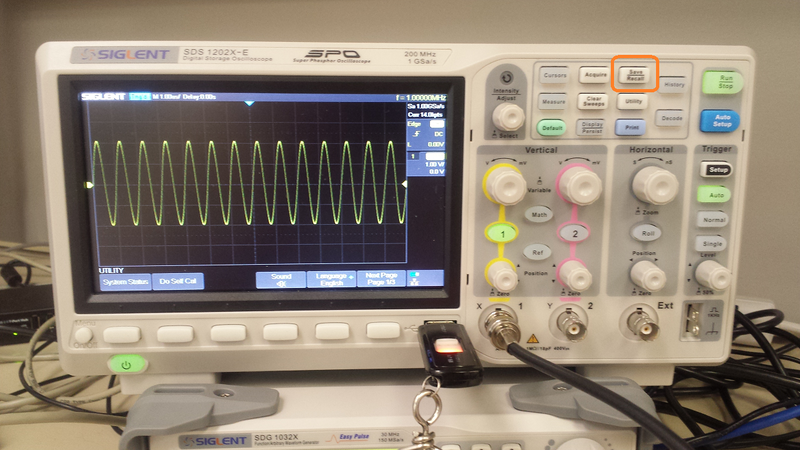 Setups are the only file type that can be saved internally on the local storage of the oscilloscope. All other file types can only be saved externally to a USB memory device. 5. Set any additional options (Screen type, Parameter Save, etc..) to configure the instrument to properly save the information that is of interest to you. 6. Press “Press to Save” to open the USB memory device save menu. 8. To create a new directory (Folder), press Directory. To create a new file, press File. 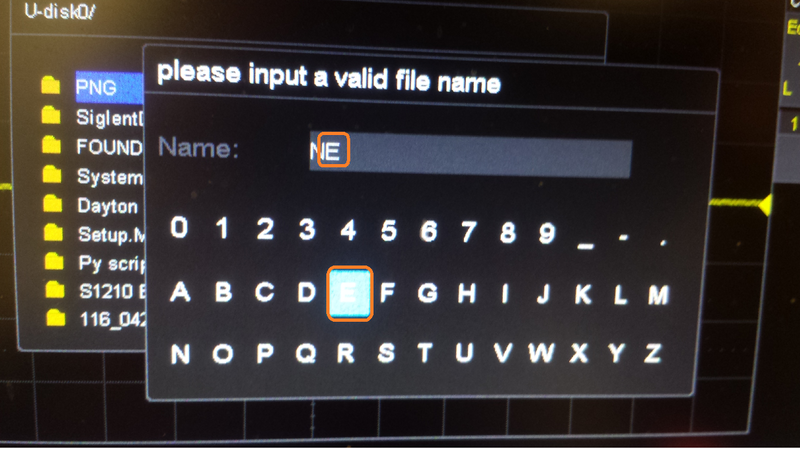 The Input Field will indicate “file” name as shown below. 10. To change the name of a file or directory, press the softkey labeled Backspace to delete individual symbols in the default file name. 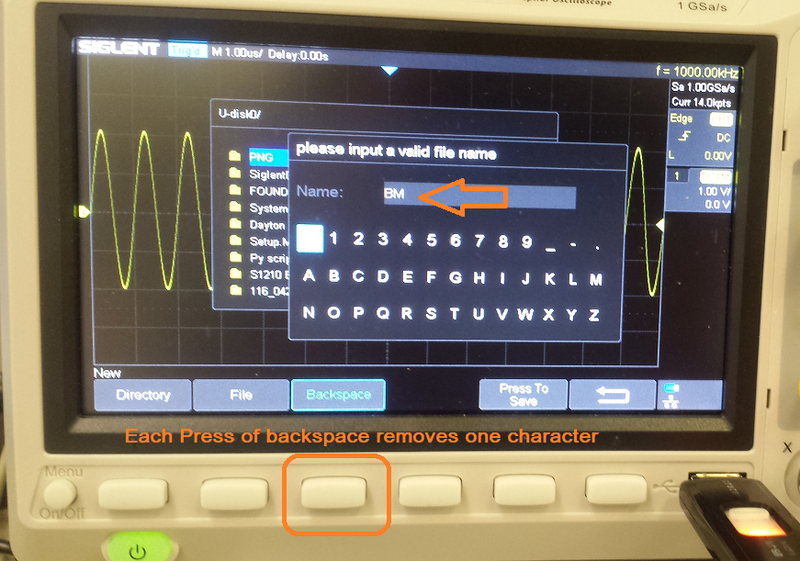 Each press of the Backspace will remove one character. You can rotate the Intensity/Adjust knob to highlight a character and press it in to select the highlighted character. Continue highlighting each character and enter the character into the name using the intensity/adjust knob.